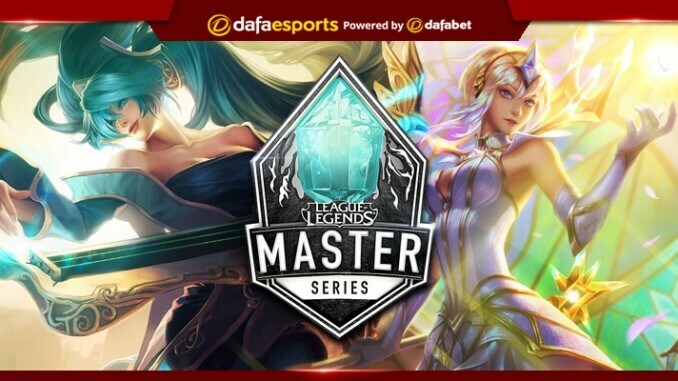 Flash Wolves, winners of both the Spring and Summer seasons in the 2018 League of Legends Master Series, have made some serious changes to their roster in the off-season. It’s a decision which could have ramifications all year long, with other teams sensing a real opportunity ahead of the 2019 campaign. MAD Team appear to be leading the chase – they have been installed as Spring season favourites by Dafabet ahead of the January 17 start. The only remaining starters for Flash Wolves from last season are Top-laner Hanabi and Bottom-laner Betty, with Moojin, Maple and SwordArt all having departed. This is a massive blow to a squad who have long dominated the LMS, generally having the same core throughout their prolonged success. Replacing the aforementioned departures are Bugi, Rather and ShiauC, with Rather in particular being an intriguing addition. Rather came over from Griffin, a team expected to shine in the LCK in 2019. However, he had lost his starting position to Chovy. Rather is a fairly predictable Mid-laner, although he did a nice job of working well with his team-mates. It could take him a while to produce some much-needed chemistry within this new line-up. Despite the changes, the two stalwarts are still the key to success for this squad, with Betty being one of the standout players in the region. This is his opportunity to seize the moment, continue the glory for Flash Wolves and make a real name for himself, separate from the credit he received with the rest of the previous line-up. The odds suggest they may struggle to replicate last year’s success though – Dafabet have them only 2nd favourites at 3.960. G-Rex (9.900) are heading into 2019 without one of their core performers of last year, Stitch. He has joined Jin Air Green Wings in the LCK, with Raise being the only Korean player still on this roster. However, Raise did perform well previously and he is one of the building blocks that G-Rex are working around entering the new year. Much of the squad has been overhauled, even with two roles not completely solidified yet. However, the hope for G-Rex comes in the possible regression of Flash Wolves as they look to build off their time at the World Championship that saw them make it through to the Main Event. ahq e-Sports Club (14.850) have a mixed bag of a roster entering the new year, with some long-serving players, such as An and Ziv, still with the team. Ziv is still considered a strong Top-laner, but he has been out of the spotlight for some time, especially given the aforementioned recent dominance of Flash Wolves. What is interesting about this new-look squad is the addition of relative unknowns in Baby and Rainbow, who have not previously been on a team of this calibre. This is solid gamble for ahq, as they pick up players who have shown potential early on in the year so they are able to develop them over the season to fit the pro scene. They also have the option of going to Wako in the Mid lane, but not having a substitute available for Baby in the Jungle could be an issue if he struggles early on. They look a team to watch, especially moving into the latter half of the year, although playing around Ziv in the top side could yield some quality results early on. MAD Team are coming off a World Championship appearance, albeit without picking up a win in an incredibly-tough Group C.
MAD have been able to keep the entirety of their roster intact, meaning they could be one of the better teams early on in the year, with no fear of synergy issues which other squads will have to deal with. They are perhaps the team who benefit most from the Flash Wolves changes and that is shown in the Spring season market which has them as 2.630 favourites.